OXFORD DIECAST. COMPLETE WITH OXFORD CARDBOARD SLEEVE. 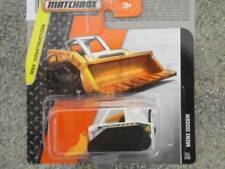 Mainly Diecast with Plastic Construction. MINI COUPE. 1/ 76 SCALE. BUY MORE THAN ONE ITEM & ALWAYS SAVE MONEY-. 76SET54 BMC Transporter 2 Mini 1275GT Set British Leyland Nederland. OO GAUGE OXFORD DIECAST 1:76 VEHICLE. 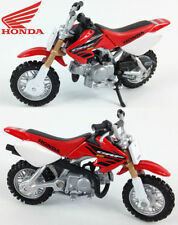 It is a scale model for the adult collector. 76MV024 MINI VAN BRITISH COAL. OO GAUGE OXFORD DIECAST 1:76. We will always help you to have a 100% positive happy buying experience. Add to Favourites. Nuevo anuncioOxford Diecast Escala 1/76 76NMN002. Nuevo Mini Pimienta Blanco,. nuevo. OXFORD DIECAST 1/76 SCALE NEW MINI PEPPER WHITE. NEW AND BOXED. 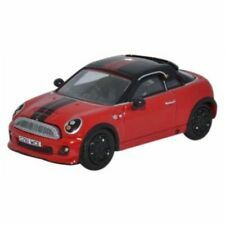 OXFORD DIECAST 1/76 SCALE MINI COUPE. PEPPER WHITE/CHILLI RED. NEW AND BOXED. OXFORD DIECAST. MINI COUPE. ➡️ THE ITEM IS USED ⬅️. 76MC002 MINI COUPE MIDNIGHT BLACK & RED CAR. OO GAUGE OXFORD DIECAST 1:76. A contrasting double stripe (black on the roof and red on the body) runs along the bonnet, across the roof and down the back. 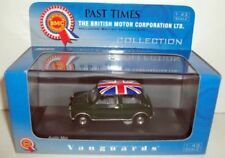 OXFORD 76MV024 – MINI VAN – BRITISH COAL. Oxford Die Cast Model Van. 1/76th Scale (00 Gauge). This item is New and UNOPENED. MINI 1275 GT. OX76MINGT002 made by Oxford Diecast in 1:76 scale. DIECAST MODELS & PLASTIC KITS. 76MINGT002 MINI 1275 GT BLACK. OO GAUGE OXFORD DIECAST 1:76. Mini - Raf. Manufacturer - Oxford Diecast. Austin Mini - Green / White. Anglia - Walls I cream. Removable from Plinth - Yes. VW T1 Camper - Green / White. Land Rover series 2 - Police Hong Kong. OXFORD 76CS053 - MINI VAN UNIGATE - ORANGE /WHITE -1/76th SCALE. C atalogue number 76CS053, and contained in original mint Box. This item is New and UNOPENED. The Mini proved to be versatile too, over the years. It has been seen as a saloon, estate car, pick up van, cabriolet and also a very popular rally car. 1/76 Creative Master CMNL UKBUS 3015 - Dennis / Plaxton Mini Pointer Dart (BOX MAY HAVE SLIGHT SHELF WEAR). Model - Dennis / Plaxton Mini Pointer Dart. Fleet –DPC110. Ideal to add to a collection or for conversion / modification! Manufacturer - Oxford Diecast. Material - Diecast. Mini Coupe. Scale - 1:76. Display Case - Yes. Model Condition - New. Box Condition - New. Manufacturer - Oxford Diecast. Austin Mini - Green / White. Mini - Raf. VW T1 Camper - Green / White. Jaguar F type - Racing Green. Display Case - Yes. Removable from Plinth - Yes. Land Rover series 2 - Police Hong Kong. OXFORD 76NMN001 - BMW MINI - 2 DOOR - CHILLI RED - 1/76th SCALE. contained in original mint Box. This item is New and UNOPENED. Scale - 1/76 approx (5cm - 6cm long) Suitable for all dublo railway layouts. Manufacturer - Oxford Diecast. Mini Cooper - Red. Mini 125 gt. Mini 125GT. Mini 1275 GT - Red. Range Rover Sport SVR Kaikoura Stone. Oxford Diecast 76set21. 5 piece mini set Through the ages From The Austin mini to the new BMW. This again varies depending on location and size and total weight. 1/ Scale Model by Creative Master. The MODEL Is In MINT Condition. The BOX Is In FAIR Condition - heavily worn. MINT - The item is in perfect condition. Product Details. Ending Soon. New Arrivals. 76MINGT001 MINI 1275 GT REYNARD. OO GAUGE OXFORD DIECAST 1:76. This newly tooled 1:76 scale Mini is up close and very personal as in real life JCY 646N was proudly owned by our very own Taff! Silver masking extends to door handles, bumpers, lights, window surrounds, wipers and even the boot catch. Scale - 1/76 approx (5cm - 6cm long) Suitable for all dublo railway layouts. Manufacturer - Oxford Diecast. Mini 125 gt. Mini Cooper - Red. Mini 125GT. Mini 1275 GT - Red. Range Rover Sport SVR Kaikoura Stone. 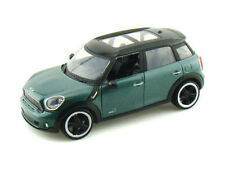 76MN009 CLASSIC MINI GREY CAR. OO GAUGE OXFORD DIECAST 1:76. Scale model for the adult collector. We will always help you to have a 100% positive happy buying experience. Add to Favourites. 76MC003 MINI COUPE CHILLI RED & BLACK. Two black stripes run the length of the bonnet and down the boot, while the colour is reversed on the roof which features two red stripes along its length. OO GAUGE OXFORD DIECAST 1:76. For sale is a 1:76 or 1:87 scale Minix MG 1100, a rare piece. in 90 % of sales the item will arrive much sooner than this. Manufacturer - Oxford Diecast. Material - Diecast. Scale - 1:76. Display Case - Yes. Model Condition - New. Box Condition - New. Removable from Stand - Yes. EFE 24903 PLAXTON MINIBUS. catalogue number 24903, and contained in original mint Box. FLEET No. 12. - 1/76th SCALE. Add to Favourites. This item is New and UNOPENED. 1/76 Scale Diecast Model by Creative Master Northcord. Scale 1/76. Product Details. Ending Soon. New Arrivals. The RM Toys Team. Kind Regards. Our aim is to ensure no matter what the model, we will provide an excellent service experience. 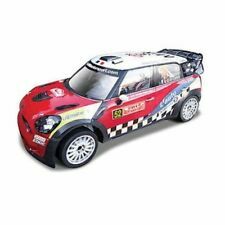 Mini Cooper S MkII 1968 Monte Carlo Rally Collectable Gift Scale 1:76 Oxford Diecast Scale Model Metal & plastic construction This item is NOT a toy and is intended for modelling use Presented in display box For ages 14 Perfect gift idea for collectors! . 76SET21 5 PIECE MINI SET. OO GAUGE OXFORD DIECAST 1:76. 76MC001 completes the picture with the latest piece of new tooling on the BMW MINI Coupé in Pepper White and Chilli Red. 76MCS001 Mini Cooper S Mk.II in Monte Carlo Rally 1968 livery in red with white roof and featuring the number 18 on the side. 76MCS006 Mini Cooper S Mkll Pink. OXFORD DIECAST LIMITED -. 1/76th SCALE = (00 GAUGE). Add to Favourites. Manufacturer - Oxford Diecast. Material - Diecast. Classic Mini, Grey. Jaguar XF, Grey. Citroen 2Cv, Grey, Black. Scale - 1:76 (5.5cm – 6.5cm). MGB - Grey. Display Case - Yes. 76MN011 AUSTIN MINI COOPER WHITE CAR WITH UNION JACK. OO GAUGE OXFORD DIECAST 1:76. OXFORD DIECAST 76MC002. 1:76 OO SCALE. In John Cooper Works trim, it is also the fastest production Mini ever, achieving 0-62 mph in 6.4 seconds and a top speed of 149 mph. A contrasting double stripe (black on the roof and red on the body) runs along the bonnet, across the roof and down the back. 76MC001 MINI COUPE PEPPER WHITE & CHILLI RED CAR. BMW's new MINI Coupé can be described in two words - style and fun. Oxfords replica in Pepper White, with a sporty Chilli Red stripe running down over the boot and along the bonnet. The Mini proved to be versatile too, over the years. It has been seen as a saloon, estate car, pick up van, cabriolet and also a very popular rally car. Add to Favourites. made with love by. In 90 % of sales the item will arrive much sooner than this. UK : £1.65. 76BMC003 BMC CAR TRANSPORTER & 2 MINIS BMC COMPETITIONS DEPT. The BMC lettering is printed along the sides and across the rear doors in blue/white including the famous BMC rosette emblem. The interior features a cream partition between the driver's cabin and the section carrying the cars. 76MINGT004 MINI 1275 GT BRONZE YELLOW. The Classic Mini has remained a popular favourite for nearly 60 years and the 1275GT version with its racy appearance was the chosen drive for many young sporty motorists.